The 4th Massachusetts Green Career Conference was completely sold out once again, proving that the topic of green jobs is current and relevant to both high school and college students, professionals and those in career transition. Three hundred people attended the conference held last week at the Marlborough Holiday Inn. 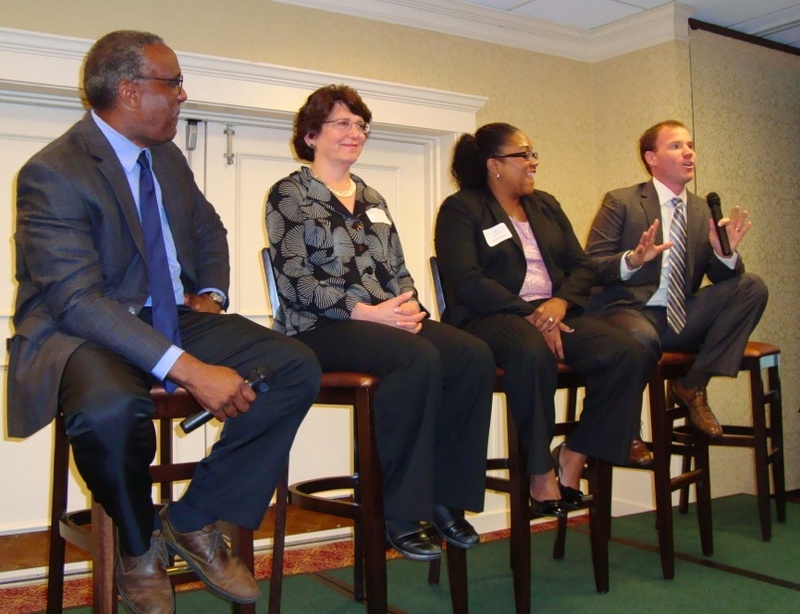 The event was sponsored by Green Workforce Training and the Massachusetts Clean Energy Center. The 2012 conference had a strong focus on ‘New Employment Research’ with presentations highlighting policy and job creation in energy, agriculture, recycling, water/wastewater, and transportation. Keynote presenters provided “State of the Union ” briefings with highlights about sector growth and the kinds of businesses that are hiring. An impressive line up of speakers from government, education, business and non profits provided a day crammed with information and advice on career opportunities and career paths, environmental policies and career development, the practical side of educating for the future and building businesses with greener talent. Twenty exhibitors showcased their services and products which included educational programs, energy, building and conservation services. These companies also accepted resumes for a wide range of positions. One of the highlights of the event was the opportunity for 20-minute coaching sessions which seasoned professionals and those in career transition took advantage of. Coaches providing their expertise included: Amanda Peters (MIT Career Counselor); Tom Zucco (Director, GreenStaff/SolarStaff); Gregory Minott (Founder/Principal, D.R.E.A.M. Collaborative); Caroline Havey (MA USGBC Representative); Sarah Klionsky (Co-operative Education Faculty, Northeastern University). Among the youngest attendees were a batch of high school students from Minuteman Regional High School . Questioning some of them in the hallway, two eleventh graders revealed their areas of interest were marine biology and agriculture. The conference, they said, was an eye opener as to the kind of green career choices awaiting them. Students from Bunker Hill Community College and Babson College also attended, taking advantage of the excellent networking possibilities, career coaching sessions and resume drop off opportunities. For conference director Jen Boudrie the success of the conference and the caliber of speakers it continues to attract proves there is a growing need to explore and highlight green careers for today and for the future. The biggest issue next year would appear to be finding a venue to host the growing number of participants signing up to attend.